We all remember at the end of Iron Man film where Sam Jackson playing Nick Fury walked into Robert Downey Jr.’s Tony Stark’s/Iron Man’s pad and telling him to assemble a team for an “AVENGER INITIATIVE”!!! I didn’t think we would ever get to the point where we would have an actually epic Avengers film. Well that day has come. With badass director Joss Whedon directing no less. Joss Whedon created the entire Buffy and Firefly universe and has gone above and beyond to bring us new musicals, films, tv shows, and comic books. 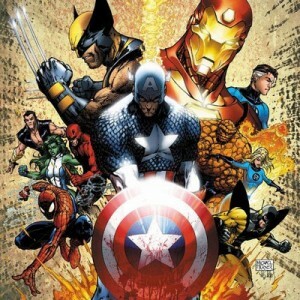 With that…there is going to be an “AVENGERS FILM”!!! I couldn’t be happier. This entry was posted on Monday, April 25th, 2011 at 6:33 pm	and is filed under Comics, Film, News. You can follow any responses to this entry through the RSS 2.0 feed. You can skip to the end and leave a response. Pinging is currently not allowed. « Want to See Some Footage from the Captain America Shoot This Weekend In NY?? ?